Facebook Live Music Panel Discussion. Weekly musical performances at regular Council meetings. Do you have a passion for music? Are you interested in supporting the Austin Music Community? The City of Austin Music & Entertainment Division is seeking qualified intern candidates! Read more about our open internship positions and apply by May 8th if you think you are a good fit. 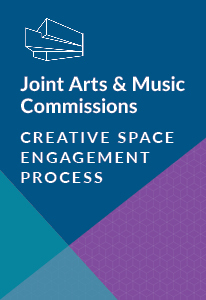 We are pleased to announce that the City of Austin’s Music & Entertainment Division will be at the new location as of April 29, 2019, along with three other Divisions within the Economic Development Department: Cultural Arts, Small Business Program, and the newly formed Heritage Tourism Division. We believe this new location’s consolidated access to all Division programs for capacity building and business development will prove to be more convenient for our customers and will greatly improve our ability to serve the members of Austin’s creative, historic, and entrepreneurial community. The new physical address is: 5202 E. Ben White, Austin, Texas, 78741, near the intersection of E. Ben White and Montopolis Drive. All phone numbers will remain the same.